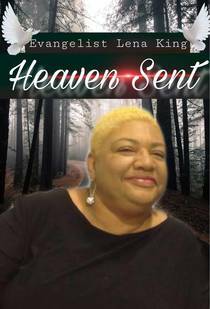 Obituary for Lena L. King | Minor-Morris Funeral Home, Ltd.
Lena Louise Barber King was born on December 6, 1956, to parents Richard & Jeanne Barber in Chicago, IL. She returned to her heavenly home on February 7, 2019, after a valiant battle with a wide assortment of ailments. Lena dedicated her life to Christ and was baptized as a young child. Being raised by her grandmother, Reverend Hiola Barber, it was her destiny to become an Evangelist. Lena married her best friend and longtime love, Charles Joseph King, on August 17, 1991. Lena loved making arts and crafts, listening to Billie Holiday, decorating, swimming, shopping, fishing, traveling and was the ultimate “foodie.” Most of all she loved serving those in need and spending time with her friends and family, especially her grandchildren as she was affectionately known as Grandma Pooh. Lena was preceded in death by her grandparents, Mager & Hiola Barber, her parents Richard & Jeanne Barber Sr., her aunt and uncle Robert and LaVania Gooden, and her brother Richard Barber Jr, brothers-in-law, Fredrick King, Kevin King, Nelson King, and Rocky King. Left to cherish her memory, Lena is survived by husband Charles J. King, stepmother, Hazel Stewart, children, DeJuan Chandler (LeShundra), Jason Chandler, Niya King, Michelle Atkinson, Pastor Tonya Davis (Gary), Jimmy Fulleros, Anntonette D. King-Smith (Bruce), Francesca “Frank” King, grandchildren, Jerard, Jaylen, Peyton, Isabella, Lorraine, Yuri, Scarlett, Bria, Kiarra, Tiarra, Jonas, Kaylie, Tre, Camille, Galen, Tianna, Leland, great-grandchildren, Brielle, Harmoni, siblings, Marion Masood, Bonita Robinson, Sharon Stewart, Brenda Stewart, Ronald Mills, sisters-in-law, Eola King, Kim King, Fannie King, brothers-in-law, Jeffery (Sarah) King, Roger (Lucille) King, Gary (Yolanda) King, David King, cousins Hiola Alston, James Tillman III, Dorrence Hayden, special friends, Beverly Sims, Linda Anglin, Lula Morris, godson, Mason Simpson and a host of nieces, nephews and extended family.